Every angler, irrespective of the type of fishing they do, be it fly fishing or the conventional fishing techniques, desires to get constant updates on fishing. If you are looking for reviews of the different products in the industry or the local waters to fish; here are some of the best Fishing Blogs on the web. Also, having adequate information on fishing will help you get started as you learn from experts in the field. Share your stories with other anglers through the various forums or articles and videos. It will help you improve on your fishing techniques and become better each day. The World Fish Center dedicates itself to reducing hunger and poverty through carrying out research and improving the aquaculture in the world. It is an international non-profit organization that is a member of CGIAR (“Consultative Group for International Agricultural Research”), focusing on Africa, Asia, and the Pacific. If you are looking for ways to improve the fishing culture in your country, then, this is the place to be. You can also partner with them in trying to change the livelihoods of poor communities that rely heavily on fishing. The blog is under the operation of Recreational Boating & Fishing Foundation (RBFF) and its affiliates. It is a one stop shop for all your fishing needs. You will be able to find and use a map that shows the locations of nearby fishing waters, boating spots and also, bait shops, for those in the USA. It covers a wide variety of topics dealing with navigation techniques, identifying a fish species and also how to get to start with fishing, for newbies. Fishidy Blog was initiated by a group of vibrant anglers who have a background in digital technology. It is a platform to connect and share with other anglers in your local area and beyond. You also get to learn from them. You will also be able to read the local fishing reports in your area. It is also a chance to follow fellow anglers in their fishing expeditions as you use their interactive fishing map to locate the right areas to fish in your vicinity. It is an affiliate of the Orvis Company that was founded by Charles F. Orvis in 1856. The blog deals with all things Fly-Fishing, from the type of gear, clothing, and techniques to use as you sharpen your fly fishing skills. The Orvis Company has been in the fly fishing business for a long time now. It deals with the retail sale of fly fishing gear, clothing and other sportswear among other commodities. You will also have a chance to book a fly fishing expedition in the North or South America, etc. And get the opportunity to practice your fly fishing techniques. As the name suggests, this blog utilizes the use of videos and writing to pass information. The author, Matt Watson, hails from New Zealand. He started fishing with his father since he was three years old and the passion stayed with him all the way. You will be able to enjoy and accompany him on his fishing adventures in the videos as you learn different fishing trips and tricks. It is all matters fishing at the ITM Fishing Show. You will also get the chance to make tasty meals out of your catch using the recipes posted. It is a unique blog that brings fun to fishing news and reports. You get to learn how to revamp your fishing adventures, what gear to use, etc. You will also get a chance to enjoy and admire some exquisite artwork on fish. Know more about fly fishing, “fishackathon,” learn how to play Fishing Camp and so much more. It includes a forum for exchanging ideas and information between different anglers. All you have to do is get your gear and enjoy your adventures. Singlebarbed is a blog by Keith Barton who has been fly fishing since his youth. An experienced angler, intending to change the fly fishing scene. It brings humor and thrill to the fly fishing world as you learn the different fly fishing techniques you could use. Journey with him to the waters on his fishing expeditions through his stories. Get to try out some Do It Yourself Tips on making different flies rather buying them from the nearest bait shop. Follow the links to the blog post of other fly fishing enthusiasts. Are you planning a fishing trip to Ireland? If yes, get acquainted with the IFI (Inland Fisheries Ireland) blog and the rules and regulations of fishing in Ireland. It consists of research finding on various fisheries projects in Ireland, invasive fish species in their waters, etc. Find out more on the Salmon conservation strategies in the country. Learn about their policies regarding fishing their waters and so much more. The Blog is under the ownership of a fly fishing travel agency. If you are looking for a place to go on vacation and learn or practice fly fishing, this is the place to be. They have different travel packages from couples to family trips. Get to understand the destination and plan accordingly for your journey. You can read more on the experience of others on their travel blog as you learn a trick or two, on fly fishing. Get insider information on the location for your ideal vacation experience. As a seasoned fly angler, you know that flies in fly fishing may imitate insects that fish prey on the surface of the water or under it. To learn more about these aquatic insects, read on the Aquatic Insect Encyclopedia of Troutnut. Get to understand their behavior patterns and how it affects fish, especially trout, and see some close-up photos of the different species. Know the different waters that you can practice fly fishing in Alaska and which techniques to use as you join other enthusiasts on the Troutnut Forum. It is a blog by the Pennsylvania Fish and Boat Commission, headed by the Governor of the State. Take part in the family fishing programs offered by the commission Know more about the best fishing areas in the state of Pennsylvania and the fish species that can be found in their waters. Familiarize yourself with the state’s Trout Stocking Schedule and fisheries regulations. It also includes information for beginners on how to start fishing, the boating basics and so much more. It is a fly fishing guide for anglers in the area of Durango, Colorado. It contains useful information on the different waters you can practice and sharpen your fishing skills in Durango. Understand the fishing conditions of the local area and where to purchase your fly fishing gear in the area. Watch videos of the adventures of others, share your fly fishing experience stories and read those of others; as you learn different fishing tips and tricks. If you are in the area and need a fly fishing guide, then, consider choosing Duranglers’ guide services. The blog offers you an experience like no other as you get to explore different parts of the world as you practice your fly fishing skills. You do this by traveling different countries with the Aardvark McLeod team through the stories and reports shared on their blog posts. It is the ultimate fishing experience, as you choose an international fly fishing holiday with them. Get to sleep in camps, and practice catch and release, in some of the world’s beautiful destinations. Are thinking of getting to start with fly fishing? If yes, Angler’s Covey has classes tailored for beginners at fly fishing. You can also take the classes to help improve your fly fishing skills. Learn more on the fly fishing gear and be able to determine which is best suited for your intended purpose of fish. Share your fly fishing experience with other enthusiasts and exchange ideas, tips and tricks using their forum. Stay connected as you begin or continue your fly fishing journey. Do you feel the need to improve your fly fishing skills, be it dry fly fishing or just basic fly fishing techniques? Take part in the classes offered by the Gates Au Sable Lodge. It caters for both beginners and seasoned fly anglers, to improve your skill set and also to get you started at fly fishing. Know more about the different fly fishing gear and make sound decisions when purchasing equipment for your fly fishing adventures. Read more on the fishing reports on various areas and the weather. The blog is full of relevant fly fishing articles. Those for beginners or the advanced anglers, there is something for everyone. Know which fly is suitable for which species. Understand the fishing waters of Virginia from seasoned fly anglers in the area. Read on different fly fishing reports on the different waters and different times of the year, in Virginia. You will find information on which species to target, which tactics are efficient and most importantly, which flies to use. It has been 55 years in the business. Bjorn Stromsness, the author of the blog, Bonefish on the Brain, is a dad, husband who is also fly fishing angler and tier, one that many others can relate. He is particularly a bonefishing enthusiast as you can tell from the name of his blog. If you are a bonefish lover as he is; get to journey with him in his adventures in various fishing waters. Share your stories and thoughts on different gears on the market and learn more about conservation. Bjorn uses his stories to pass information and share with others. It is a blog that is under the authorship of 4 sports fishers in the South-east region of Australia. The authors include Graham Fifield, Hamish Webb, Lee Georgeson, and Dan Firth. Each has a vast experience in fishing the waters of South-East Australia, and they share their ideas and thoughts through the blog. Enjoy their adventures through their shared stories, get to see the photos of the catch they make. Try out their recipes to make a mouth-watering meal for your family, after a long fishing day. Located in Viroqua Wisconsin, the Driftless Angler Shop that seeks to improve your fishing experience in the local waters of Wisconsin. They release fishing reports of the area on a regular basis. Giving you advice on the waters to fish, type of gear and wear as you plan your fishing trip. Get newsletters on the fishing news, and special fishing reports of the area. Let your fishing trip to Wisconsin be under guidance, armed with adequate information on fishing in the area. The blog is a place to share your fishing experiences with fellow anglers, be it through articles or videos. It gives you a chance to learn from others, connect and bond with enthusiasts from different areas. Sharpen your fishing skills or learn a new technique, this is the place to be. You will be able to find almost everything you need to know about fishing in Alaska, here. A chance to plan your fishing trip to Alaska using the experience and stories of others. It is a blog that primarily focuses on fly fishing in Colorado, USA. You will get information on how to get to start in fly fishing, the gear to use and which waters to fish. The blog offers insight into the local waters of Colorado, and they also release reports on where to fish and which species you will be able to catch. You get notifications of upcoming events in the area that you can participate in with family and friends, reports on the fishing conditions of different streams, and not forgetting tips and tricks on fly fishing from experts. If fishing is your number one, all-year round pastime, then, you may fall in love with this blog. It takes fishing to another level, by giving you “Fishy” quotes. These are quotes on fishing which you can use to make jokes with fellow anglers. They have a wide selection of informative fishing articles especially, those about fishing in New Zealand. The articles cover fly fishing, fishing in saltwater to general fishing tips and tricks. You also get the opportunity to free books on fishing. Planning to fish in New York has been made easier by this blog. It belongs to the Packbasket Adventures Lodge and Guide Service in Wanakena, NY. The area has numerous ponds to fish and clear fishing waters, not forgetting the breathtaking hard and softwood trees that surround various streams. You will get updated reports on the condition of different trails in the area and also the lake and river reports. Read the stories of other anglers and learn a few tips and tricks to improve your fishing techniques. He is a fly fishing enthusiast from New Zealand. Not only is he a fly fishing guide but he also offers fly fishing lessons to those who want to learn more about it. He became one of the first people in New Zealand to pass the Federation of Fly Fishers Certified Casting Instructors examinations, in 2005. Find more on fly fishing from a renowned and experienced fly angler and guide from New Zealand and improve your fly casting skills. The blog of the Three Rivers Ranch, covers all matters regarding fly fishing in the beautiful state of Idaho, with the Yellowstone Park right at your doorstep. The ranch is under the management of Lonnie Allen since the year 1987. It is a renowned fly fishing ranch that received the honor of being named Orvis Lodge of the Year. If you want to get more information on the rivers and lakes in Idaho, then, this is the place to be. Know more about the tributaries in the area, and so much more. Their blog will cater for all your fly fishing needs in Bozeman, Montana. You will get access to up to date fishing reports from the Montana area. You will benefit from the expert advice from fishing specialists in the area, from the areas to fish to the tackle to use during your stay in Montana. Be well-informed on the various fishing events that you can participate in or take part in their fly fishing classes to learn a new skill. Choosing the right fishing gear for your expedition can be tricky especially if you are trying out something new for the first time. At Sage fly fish, you will get to learn more about the ideal gear combination that you can use depending on the water you are fishing. You will learn from fly fishing experts. Know more about the fly fishing gear to improve your casting and success in a particular fishing day. Are planning a fly fishing trip to Delaware? If yes, join the Baxter House team as they traverse the waters of Delaware for fly fishing. Venture out into the water with the team as they fish despite the weather and enjoy the moments through the stories shared as you learn different fly fishing hacks. Learn about the different fishing events held in the area that you can join in and get to share and make merry with fellow anglers. Read on the fishing reports of the waters in the area before you go out fishing. A product of the collaboration between Steven Brutger and Matthew Copeland, the two share their stories of fathers who are trying to find a balance between family life and pursuing their passions. The imagery used in the content is one to be reckoned with as they go out on various fly fishing expeditions with their families. There is no better way to learn different tricks or techniques than through the experience of others. Are you thinking of trying out your fly fishing techniques on the Snake River that runs through the Grand Teton National Park? To know more about what to expect, check out the Grand Teton Fly Fishing blog and get insights on fly fishing in the area. Learn more and spice up your fishing techniques, e.g. tying different knots, fishing gear combination, etc. Familiarize yourself with fishing updates in the area and events that are just around the corner. Journey with JOHN M. SWEENEY as he traverses the West Canada Creek, Ausable or the Delaware rivers. He is a seasoned fly fishing angler and guide, with over forty years of experience in the field. Going with him on a fishing expedition, you will notice that he uses a fly of specific design to fish a particular river. Get to learn this and much more of the tricks he has up his sleeves, to help you improve your fly angling skills. Ever wondered what fly fishing in the North Platte River in Wyoming would be? Join the Grey Reef Anglers team in their fly fishing adventures in the Miracle Mile and Grey Reef waters of the river. The two offer the residents and visitors to the area, the best fly fishing spots. You can tell from the pictures shared that Wyoming’s trout are a substantial size and are in large numbers in the ideal place. Being a blog of a fly shop; the blog has lived to the expectations. It contains a broad range of articles on different topics. From releasing reports on the nearby rivers, How To articles and even reviews of different fishing gear in the market. What better way to choose the perfect rod for you, that to compare its advantages and disadvantages with other similar products? Be part of the team as the travel and fish the waters nearby through their stories and learn various tips and tricks. The owner, Tim Wade is an active participant in the lives of anglers in the Wyoming and Yellowstone areas. He has been assisting them for over twenty years. Also, he has a lot of written materials on fly fishing which is on his blog. You will get to watch his fishing videos on different waters and learn a thing or two about fly fishing or even improve your skills. You will also be able to keep up to date with reports on the streams in the area. The Sweetgrass Rods Company was founded by Glenn Brackett, in partnership with Jerry Kustich, in the year 2006. It is a corporation that practices the making of bamboo fly rods. You will be able to learn more about the manufacturing process of the bamboo rods. Go fishing with the two veterans in their fly fishing expeditions and also ask them questions on matters fly fishing on the “Where’s Jerry?” Blog. Understand more about fly fishing in the Southwest of Montana. Based on West Yellowstone, Montana, the Big Sky Anglers is an outfitting & fly shop, formed through a partnership between Justin Spence, Jonathan Heames, and Joe Moore. They offer guided fly fishing services in the areas of Yellowstone Park and Southwest Montana. Get fishing reports on the waters in the area. Read the success stories of fellow fly fishing enthusiasts and learn a new technique from them. Watch their angling videos and read the reviews of different gear in the market. If you are tired of reading long posts on fly fishing and would like to see some action, try checking out The Venturing Angler content. Their blog includes videos of their fishing trips. They also have a podcast where they share tips and tricks on fly fishing. It covers different fly fishing destinations where you may be planning to visit. Prepare adequately for your trip by having the right gear, books, and videos that have ample information for your fly fishing trip. The author, Marin Gibson was introduced to fishing at a tender age, in Scotland, and with her family. The passion has since grown as she follows in the footsteps of her mother who is also a fly fishing enthusiast. Journey with her on her fishing expeditions as she crisscrosses the water of the UK to quench her thirst for fly fishing adventures. Draw to the country life, and away from the hustle and bustle of the city life in London, Marina goes out fishing with friends. She also offers river tests on different waters. Situated in Denver, Colorado, the Fly Fisher has been in the fly fishing business since 1971. They release regular Fly Fishing Reports on the waters of Colorado such as the South Platte River drainages and the South Boulder Creek. Take lessons from the staff who are seasoned fly anglers as you improve your fishing skills. Learn more from the experiences shared on the blog. Read reports of others on their fly fishing trips and learn from their experiences. In an attempt to enlighten the masses on fly fishing as a fun-filled adventure, Motiv Fishing has adopted various strategies to help them realize this goal. They are an independent media production company that focuses on producing fly fishing content in an interactive manner, through the use of movies and broadcasting travel series. You don’t have to attend a class to learn the sport of fly fishing, but they offer you the chance to learn from the comfort of your home. The blog is a property of the acclaimed Queen Charlotte Lodge in Haida Gwaii, British Columbia, Canada. It is renowned for its breathtaking beauty and first class fishing experience offered to its guests. Share experiences and learn from other guests through the blog. Get to find out how to make delicious dishes from your catch after a fulfilling fishing trip. It is all about relaxing and having fun in the water. Learn more about the different event that you can participate. Do you want to try out Kayak Fishing for the first time, or do you want to know more about it? Then, this is the place to be. The Kayak Fishing blog has everything you need to know about kayak and fisheries, all under one roof. Their Kayak Bass Fishing Magazine that gets released on a seasonal basis has stories of other kayak fishing enthusiast. Learn more about what gear to carry in your kayak and the techniques to use as you fish bass in your kayak. As the name suggests, this blog utilizes the use of videos and writes to pass information. The author, Matt Watson, hails from New Zealand. He started fishing with his father since he was three years old and the passion stayed with him all the way. Getting started has never been made more fun than with Midcurrent. It is a product of the collaboration of several fly fishing anglers and guides to who seek to make your learning of fly fishing more fun. You get access to books on fly fishing. Enjoy the fly fishing art as another platform to express your interests as a fly fishing enthusiast. Buy and watch DVDs on fly fishing at the comfort of your home and so much more. The Moldy Chum offers its audience a unique approach to fly fishing through the use of videos, art, and article. The articles cover a variety of topics on matters affecting the fly fishing field and possible solutions to the issues at hand. Improve your techniques by reading the stories of other enthusiasts or through watching their videos. Know more about their conservation methods and policies. Learn the How To tips and change your experience at fishing. A family owned venture, the Captain’s Reel Deep Sea Fishing, has been I operation for over 30 years of deep sea fishing. They offer both inshore and offshore excursions in one of the boats in their fleet. All boats have certifications from the US. Coast Guard. Their blog constitutes of fishing reports of the water that they fish. They also have a seasonal fishing chart that shows when is the best time to practice bottom fishing, go out deep in the Halibut, or catch Tuna, etc. Do you consider yourself a Tenkara Angler? If yes, you will easily relate to this blog. It belongs to a dad, and husband who is enthusiastic about fishing for trout in small streams. Journey with him in his excursions as he has fun and fishes with family and friends. 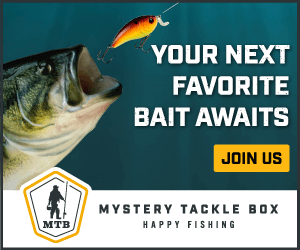 It is a blog that caters to the needs of both novice and experienced anglers, so, grab a seat, ensure you are connected to the internet and enjoy the ride with Troutrageous. The AZGFD or otherwise known as Arizona Game and Fish Department gives you the latest updates on all things fishing in the region. Get access to a site map of places to fish in Arizona, know more about the stocking schedule in the area. Take a boating safety education. Use the fish and boat map for your fishing expeditions on a vessel. You also get the chance to share your fishing successes with other anglers in the region through sharing articles, videos, and even photos. If you are a diehard sports fishing enthusiast, then, this is the right place to be. Get to traverse the waters with some of your favorite sports fishing anglers, as they battle the winds and the big game they try to reel in, in the hope of winning the title. Be part of the journey, learning a trick or two. 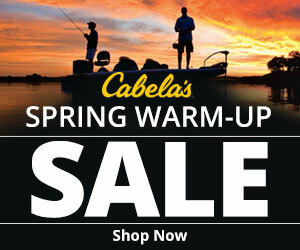 For you who have always watched sports fishing from afar, here is a front-row seat to the games. Just sit down and relax as the games begin. Fishing’s Future aims at changing the perception of non-anglers, towards fishing. It brings more to the table by organizing family fishing events that you can take part in with your family. It applies, more so, if you are having troubles sharing your success stories with them, without them getting bored. Learn about the conservations measures being practiced by other conservationists and put them into practice as you help conserve the environment while having fun at the same time. Are you confused about which tackle to purchase as you start out in fly fishing or your current combination doesn’t seem to work as expected? Don’t fret; the Fly Shop catalog will give you insights on quality flies that you can use and proper tackle. You will also get access to reports on the local streams, on the best areas to fish and when. Know more about the Fish Camps that they organize for the youth where you can take your child to learn and have fun with his or her age-mates if they are interested in learning the trade. It is a dedicated fly fishing blog that gives you a platform to learn and perfect your fly fishing skills. You also get to share and ask other enthusiasts for advice in an area that is giving you a headache, say, your flies don’t seem to work in a particular area of water. Learn and share with them, through the forum discussions. Read about the success stories of other fly anglers who are battling other issues and get joy from their victories and successes. It is a platform to meet and make acquaintance with fellow enthusiasts. Journey with them in the waters they travel in pursuit of quenching their thirst of fly fishing. Learn from them and improve on your fly fishing techniques. Join them in exhibitions and find out more about them, here. Know when and where they will be, and get there for a fun-filled learning experience. Are you in Texas and looking for a place to try out your fly fishing skills? Then, you are in the right place. Tailwaters Fly Fishing, has been in operation since the year 2007 and offers a free fly fishing travel service in addition to being a renowned fly shop in the area. If you are considering to go to the Seychelles or Bahamas for a fly fishing vacation; consider contacting them. They offer you unmatched information on the various fly fishing products and also teaching programs for novice fly anglers and even seasoned ones. Located in the Southwest of Colorado, Telluride Outside has been providing fly fishing guide services in the area amongst other services, since 1984. You will be able to get access to river report of the area. Get up to date news on fishing conditions and learn more about the event that you can take part in while in Colorado. You will also be able to journey with other anglers through their fishing expeditions as the fish some of the waters you may have never known existed in the area. Nick Hart, the author, is a UK based fly fishing enthusiasts. He became a passionate angler by the age of 9. To the extent of deciding to pursue a career as a fly fishing instructor in his teen years. He decided to open his practice and has since been in operation for over a decade. He is a fly fishing instructor/guide/tutor. He firmly believes in sharing his expertise and knowledge gained over the years with others, through his blog, guide services, and tutorship. The establishment has been in operation since the year 1974. They offer Trout Fishing tours and also have a fly fishing school, dedicated to teaching the art of fly fishing to those who have the interest and desire. Every month, they release fishing reports of the area waters and new on corporate events held. It gives fly fishing enthusiasts to share their fly fishing stories with others in their photo gallery. You will also get access to videos on the experience of other anglers on their lakes. The outfitters have been operating in Vail, Colorado for several decades now, since 1992. They have grown and risen in reputation to the extent of being crowned, Orvis Outfitter of The Year, twice. They offer fly fishing guide services and also schools. Learn the winter fly fishing hacks through their blogs. Know more about float fly fishing, community events held, and the trips that they offer. Get fishing reports of the waters they fish in as you traverse some of the best fishing waters in Colorado, with them. It is a platform to get in touch with fellow sport fishing die-hards in Florida. Join in the discussions on their forum and share your tips and tricks as you also learn from others. Get the latest fishing news and reviews in the area. Listen in to their radio or watch the TV, for live tournaments and learn how you can take part in one. Read about what the weather will be like before heading out to fish. Make delicious meals using their recipes after an exhausting but fun-filled fishing adventure. The project dedicates itself towards bringing healing to veterans and active military personnel by rehabilitating them using fly fishing. You can help them continue making a difference by volunteering or donating to the cause. Take part in the program and make a difference in the life of another. Read through their reports and news on upcoming events that you can join in. With a shared passion for fishing, Brian and Ann McGeehan, started the Montana Angler Fly Fishing Outfitters, to help other enthusiasts to explore their passions in the region. The also host international fishing trips to Chile, Bahamas, Alaska, etc. during the offseason. The blog offers you with tips for planning your fly fishing trips. The stories shared help you improve your techniques in fly fishing through learning from others as they traverse private, public and international waters. Time to spice up your fly fishing learning experience by learning through watching a fly fishing film. Their film selection is suitable for people of all ages. It gives you the opportunity to share your passion and thrill for fly fishing with family and friends. You can also submit a film of your own to the crew. The blog is a review of different fly fishing films that they have aired over the years. Get to spend quality time with family at their film festival. To get the latest fishing reports of Virginia, Mossy Creek Fly Fishing Blog. Get up to date news on upcoming events that you could attend with family or friends, in the area. Join their team as they traverse the streams of Shenandoah National Park and the George Washington National Forest, amongst many others. Take fly fishing lessons from them to know where to fish and which tackle to use, when in Virginia. Find out when and where they will hold a fly fishing clinic and be there. Don’t know which tackle to purchase or even the ideal clothing for fly fishing? Farlows have a wide selection of fly fishing gear and apparel suited for a fishing expedition for you to choose. Learn more about fly fishing techniques. Know more about fly fishing unique to particular fish species, be it bass, trout, etc. Learn the tips and tricks needed as you plan your fly fishing vacation from experts. Learn about fishing pike and even salmon, and so much more. This Pennsylvania Fly Fishing Blog will give you insights on the sport of fly angling in the area. It gives you insider knowledge and ideas. They also have a forum where you can meet, share ideas and learn fly fishing hacks from fellow enthusiasts in the area. Get to understand fly fishing basics if you are a novice or sharpen your techniques by reading through their blog posts. Read more on the aqua-insects that flies imitate and fall in love with this passion. The blog gives in-depth knowledge on fishing different fish species, from bass, pike, to trout, amongst many other species. Learn, Do It Yourself Hacks and tricks and make your tackle or custom rods. Know more about rigs for specific fish species. Revise the fishing basics that you have forgotten due to putting a pause to your fishing expeditions because of one or two things. Learn more and get started on fishing for beginners as you learn from the experts. The authors, Guy Jeans, is a fly instructor and guide. He offers his teaching services along the coastline of California. With an extensive fly fishing experience in the US and Canada, he started his fly shop and training school to help other fellow enthusiasts. He also hosts the “Sierra Fly Fishing” series, in addition to writing for various fly fishing magazines. His blog releases fishing reports on the Kern River. It offers other sport fishing enthusiasts how to tips on boating, tying knots and even planning trips. It is all you need, under one roof. You will also get to watch the videos shared together with a tutorial for a better understanding of some of the concepts shared. Read reviews on different boats to help you make an informed decision before choosing to buy one. Know how to maintain your basting and the boating basics. In July 2001, this publication by Outdoors Fan Media, became a reality, to cater for the need of fellow bass anglers. You will get news that is specific to bass fishing and features too. You also have a front-row seat to some of the famed bass tournaments and several other amateur ones. Read their review on different products in the field of bass fishing. Learn tips and tricks from pros as you sharpen your bass fishing skills. Get daily updates from bass fishing tournaments and everything about bass fishing. The Fenwick Company has been in the fishing rod making business for a long time now. Their processes undergo changes to cater for the growing number of avid anglers who are specializing in fishing a particular fish species. Visit their website to know more about their fishing or fly rods that they are making. Their pros and cons and compare with the products of other manufacturers in the industry. As an avid angler, we need to keep in touch and share our tips and tricks to novices. Let us sharpen our skills and become better anglers through sharing and reading through the experiences of others. Let us journey through the waters together, as we traverse the different waters of the world, through articles, videos or art on fishing. We can revamp family time by attending various local fishing events, taking part in tournaments or even investing in the fishery films. We wish you a fun-filled fishing expedition as go out in the waters.